Products representing quality and freshness with names you know and trust. Jet Fresh Flowers is the proud exclusive distributor of premium products which feature many unique benefits including custom packaging and greater variety options. Introducing Jet Fresh Flower Growers, S.A., we’re proudly growing premium-quality roses from our new farm in Cotopaxi, Ecuador. Led by our talented Quito team, Jet Fresh Flowers is exploring new heights 2,896 meters above sea level. With over 30 varieties in production, Jet Fresh Flower Growers, S.A. allows us to supply a wider inventory of top rose varieties worldwide. Roses with Altitude, inspired by Jet Fresh Flower Distributors is a boutique farm producing premium-quality Ecuadorian roses grown 3,200 meters above sea level near the Cayambe volcano. RWA comes packed with many benefits including larger heads, longer stems and thicker foliage. The altitude at this impressive height provides roses with intense lighting that extends the rose cultivation process while also enhancing the color of your favorite varieties. Free peace & love in every box. Hippy Hydrangeas are Jet Fresh Flowers’ exclusive brand of fresh-cut, wholesale hydrangeas. Available in many colors and size variations, including standard and Ultra Pax, Hippy Hydrangeas are equipped with premium packaging that ensures protection and performance. Hippy Psychedelic Roses are customizable, color-enhanced roses available in fresh-cut standard and garden roses. Choose from airbrushed, absorption-dyed and glittered enhancements to create your own single, multi-color or rainbow variety, as well as Lollipop airbrushed roses. Jet Fresh Flowers is the proud authorized distributor of leading floral brands from all over the world. We work closely with suppliers of rare and hard to find flowers that our customers know and trust. Alexandra Farms is a boutique rose farm in Bogota, Colombia located high up in the Andean Mountains. They are dedicated to growing and producing romantic garden roses as well as freeze-dried garden roses, and are the forerunners of discovering new varieties for weddings and events. The farm’s fertile soil and ideal climate of warm days and cool nights are ideal for rose growing. Alexandra Farms cuts, grades and packs all of their flowers by hand, providing extra handle and care to these wedding-flower-favorites. Jet Fresh Flowers sells David Austin® Garden Roses exclusively in “Wetter Is Better” packaging to ensure greater performance. Since 1984, Arbusta has committed to being a top-grower of roses, carnations and lilies located in Quito, Ecuador. With over 60 hectares in production, they have managed product diversity and quality to fulfill the needs of the flower industry. Arbusta’s growing practices have been developed for over 30 years, delivering consistent products that are known for its bright colors, shining foliage, superior vase-life and solid packaging. 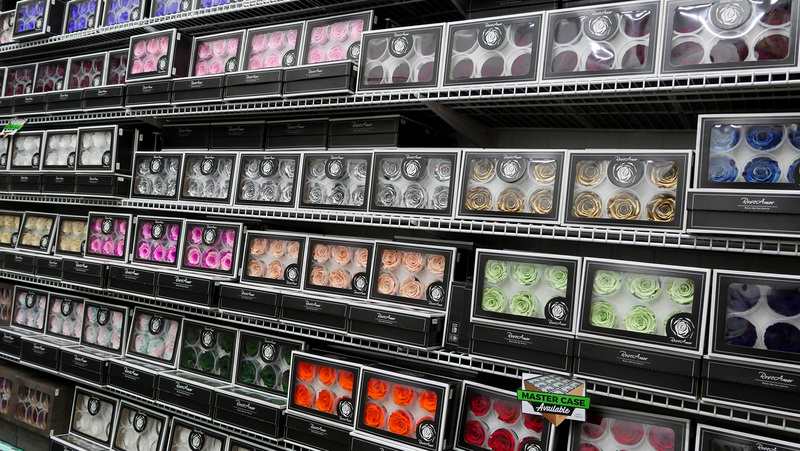 Esmeralda Farms is committed to breeding, growing and distributing the highest quality fresh-cut flowers. 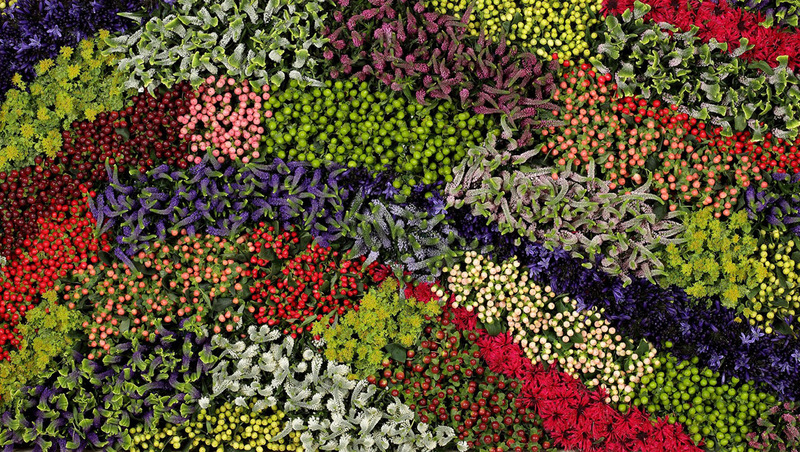 Connectaflor supplies the global market with high-quality Esmeralda and Esmeralda Breeding & Biotechnology brands. Their flowers are grown in state-of-the-art Esmeralda Farm greenhouses, shade houses and open field production in both Colombia and Ecuador, which offer a cool, mountain breeze with moderate temperatures providing some of the best growing conditions in the world. With over 30 years of growing experience, these rainforest-certified growers are the producers of some of the finest flowers and greens including roses, spray roses, daises, asters, bupleurum and more! David Austin® is an award-winning breeder of some of the most beautiful and popular English garden roses in the world. The roses they breed capture the beauty and essence of Old Roses, with delicate petaling and wonderful fragrances. 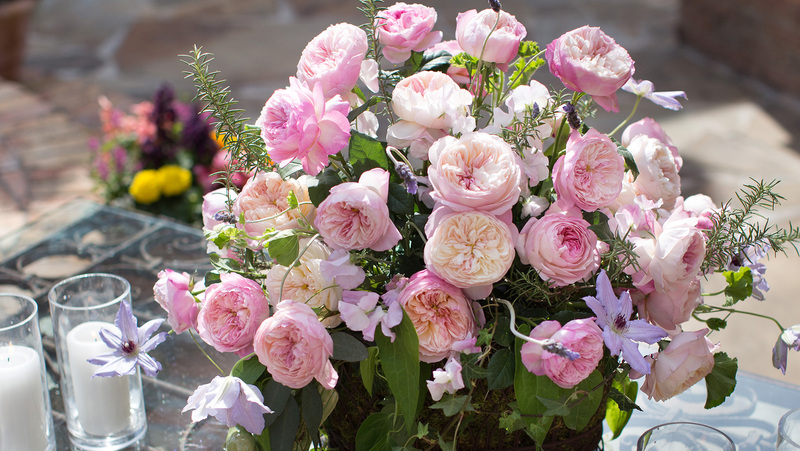 David Austin® garden roses are available in a range of colors and flowering types, widely recognized for their outstanding health and reliability. Flores del Este is an acclaimed hydrangea breeder located in Medellin, Colombia. Bred with an ecological philosophy, these “rainforest-certified” hydrangeas meet all the standards in sustainability. They maintain freshness by shipping hydrangeas already hydrating with fresh water and a special solution. Flores del Este has a strict selection process maintaining the size and color consistency of their beautiful hydrangeas. Continuing in their mother’s path, established 17 years ago, they manage the entire operation, from cutting to shipping, guaranteeing the same degree of quality and care. Florigene ® Moon Series Carnations is an exclusive series of standard and mini-type carnations by Florigene® Flowers. 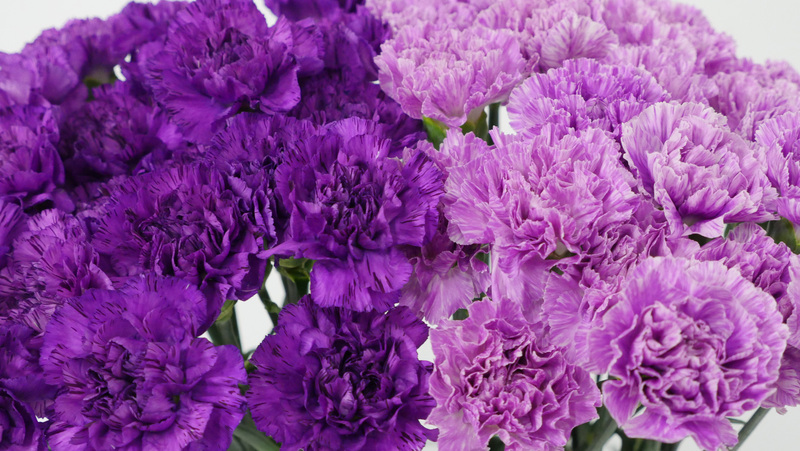 The varieties which are offered from this quality breeder are absolutely novel for carnations, featuring exquisite colors and elegant petaling. Florigene® Moon Series Carnations have an impressive vase-life that stand out in any arrangement with terrific performance and reliability for wholesalers and designers. Florius Flowers, established in 1995, supplies a variety of freshly grown flowers from Africa. The farms are situated in the great highlands of Ethiopia and Kenya, where the altitude and climate are perfect for growing flowers. Florius Flowers’ Hypericum Coco and Veronica Smart Series are grown on six different flower farms. They work with a large international team of specialists in research and development, harvesting, processing and sales to ensure quality and freshness upon arrival from Africa. Their team focuses on the resistance of different diseases, longer vase life and productivity, which also results in the significant reduction of chemicals. Perfection® Alstroemeria is uniquely grown with innovative procedures that guarantee quality and presentation. 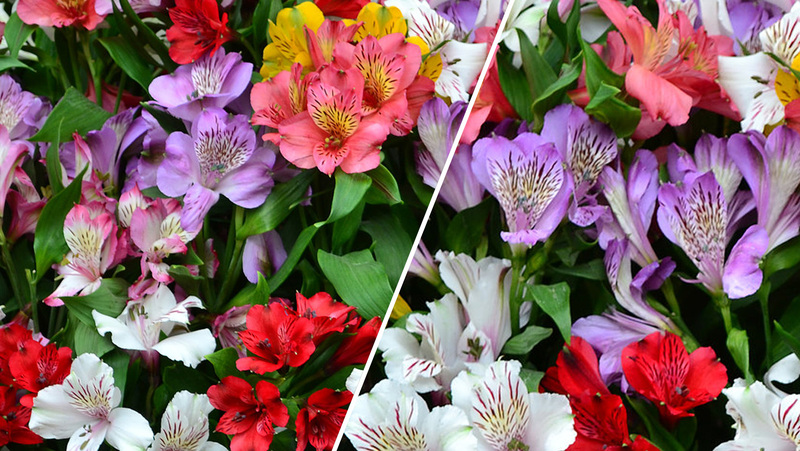 The results produced are outstanding — featuring perfect Alstroemerias that have an ideal stem width, larger bloom size, brighter petals, greener and healthier foliage, and an increased lifespan. Flowers that are grown using the Perfection® method have the competitive edge of being registered trademarks of the brand Perfection®. Other flowers grown under the Perfection® trademark include roses, Snap Dragon and solidago. 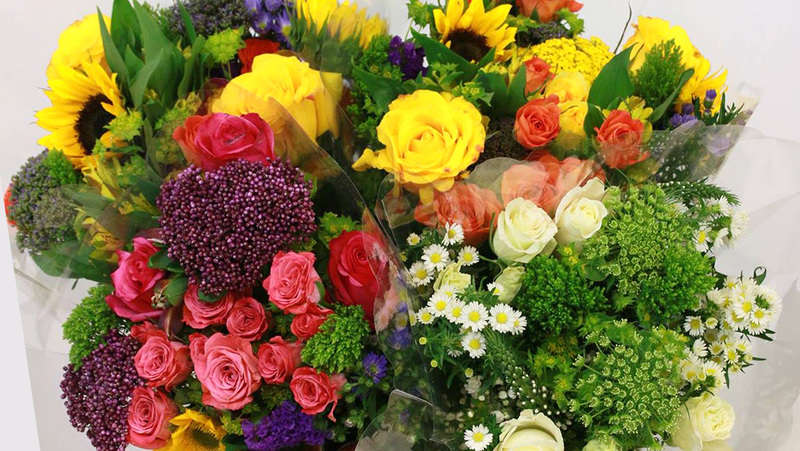 Established in 1978, Rosa Flora Limited has been supplying fresh, quality flowers grown in Ontario, Canada. They carry a wide range of flowers including, but not limited to, Gerbera Daisies, Stock, Lisianthus, Tulips, Lilies and more. Rosa Flora Limited currently has 1.9 million square feet of greenhouses, a fleet of 20 refrigerated trucks, and a cooler of over 35,000 square feet. Rose Amor is one of the leading brands in quality preserved flowers. We’re proud exclusive Florida distributors of these real Ecuadorian-grown flowers that are cut and carefully preserved using a non-toxic, proprietary chemical process in order to maintain the flower’s natural appearance and performance. Available in wide range of preserved flowers from roses and hydrangea, Rose Amor’s preserved flowers have a variety of colors and sizes to support your floral needs. Rose Amor’s Preserved Flowers last at least one year to extend longevity and use. Sande Flowers supplies the global market with fresh-cut flowers in a wide range of products and varieties. 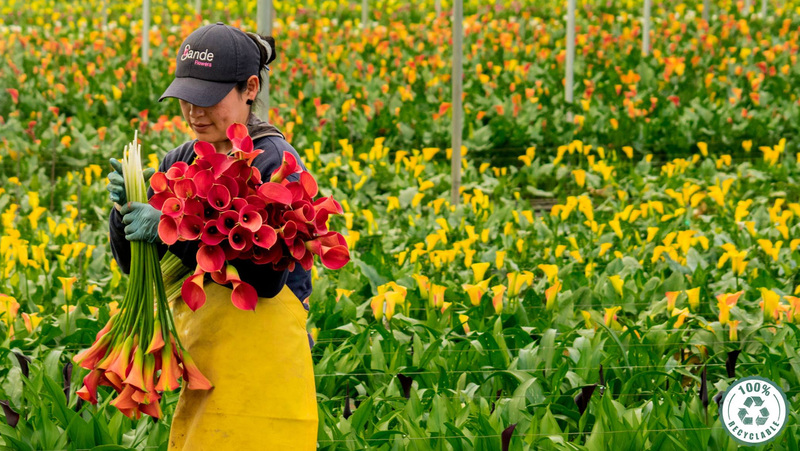 Located in Quito, Ecuador, these high-quality flowers are grown with the “rainforest-certified” seal of approval, which strives for reduced chemicals and conserved soil quality that prevents erosion. 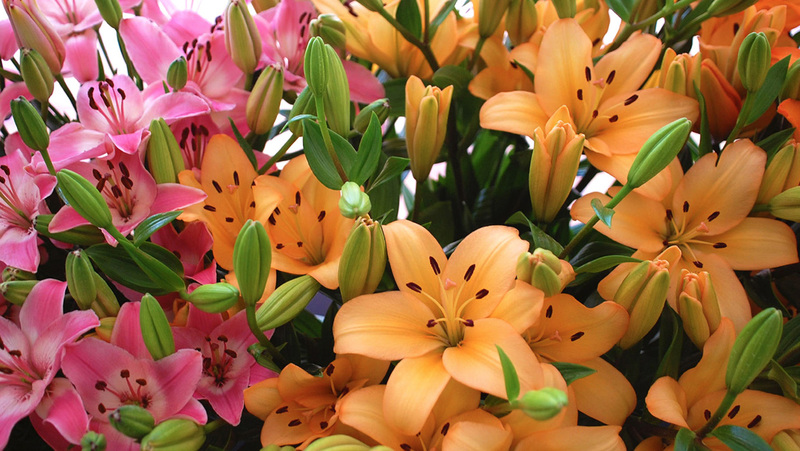 Sande Flowers grows and supplies top cut flowers including Callas, Mini Callas, Oriental and LA Hybrid Lillies, Roses, Freesia, Hypericum, Greens and more! Located in Holland, VIP Roses grow and produce some of the most unique and innovative rose products we can get our hands on. 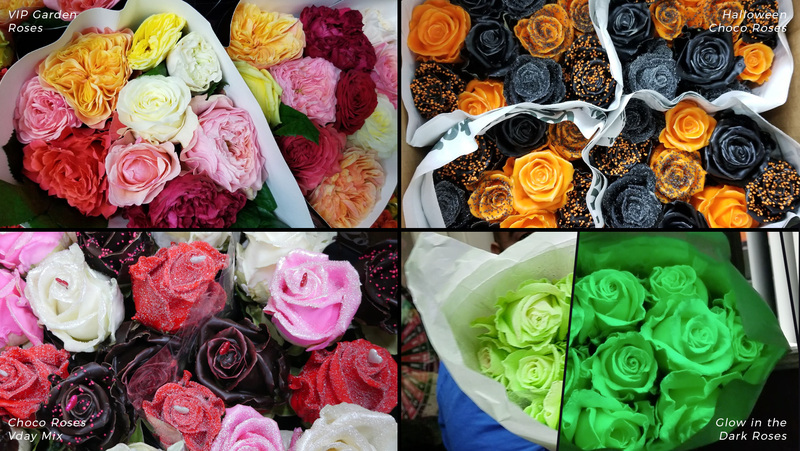 From their glittered and frosted roses, to their glow-in-the-dark varieties, VIP Roses is molding the way specialty roses are decorated with fun and creative toppings. Coming from a growers family, they received their background producing quality roses perfect for experimenting. VIP Roses is especially known for producing sweet-smelling, non-edible creations such as their Chocolate-scented, waxed-dipped Choco Roses. Want us to carry your brand?